We polled nearly 4,000 shoppers from November 24th to December 7th about the topic that’s on everyone’s mind this December- holiday cheer. 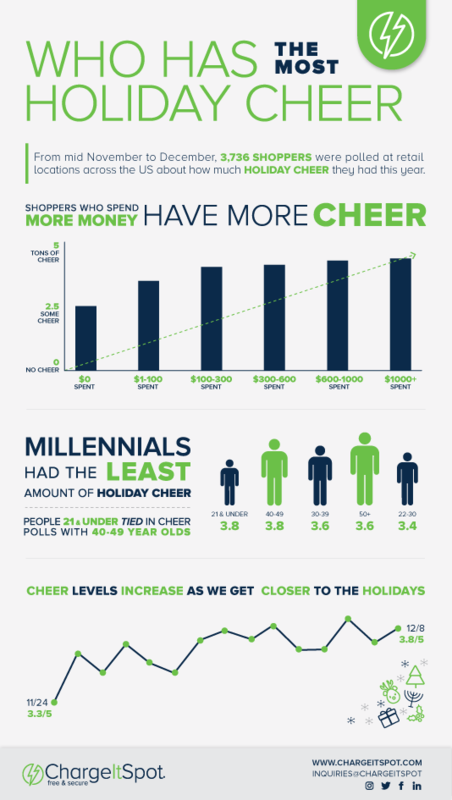 Our findings prove that perhaps money does buy happiness (or at least cheer), millennials are most likely to say “Bah Humbug,” and, as the big day approaches, cheer levels are on the rise! Check out our infographic below.